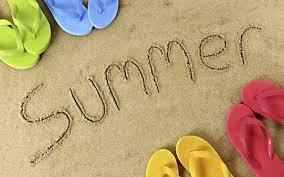 I have some more books for you to add to your summer reading lists. This is a continuation of a post about books that I've read that publish this month. This is my first book by Bryan Reardon but it certainly won't be my last. 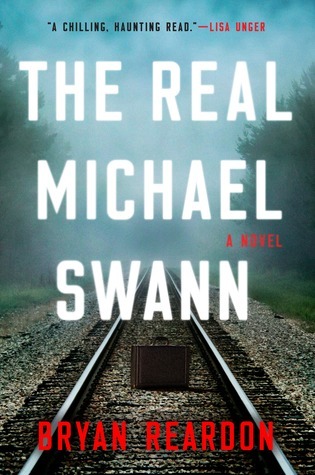 I spent most of the day yesterday reading The Real Michael Swann - once I started it, I couldn't put it down. It's a tense drama and a story about love within a family and friendships. This is one that you don't want to miss! Julia is on the phone with her husband Michael who wanted to let her know that trains out of Penn Station were being delayed. When the call gets dropped, she is concerned but panic soon sets in when there is a TV bulletin that a bomb had gone off in Penn Station and many were dead and injured. She leaves her two sons with a friend and tries to drive to NYC to see if she can find her husband only to be turned away because no traffic was being allowed into the city. The entire situation gets even worse and her house is surrounded by the media because her husband is being accused of being the bomber. Interspersed with chapters on Julia's quest to find her husband are flashback chapters to when they met and fell in love. The race for Julia to find her husband and clear his name makes this a real page-turner. I loved this book. I thought that Julia was a well-written character and her life with her husband and family were very real - flaws and all. The plot of the novel was very believable in today's world of terrorism and the oversaturation by the media to get the perfect story. Karma Brown is one of those few authors that I will buy her books without knowing anything about them because I know that they will be fantastic. 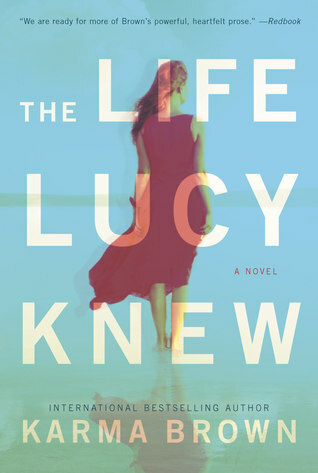 With The Life Lucy Knew, her 4th novel, she proves that she is definitely a fantastic author. Lucy Sparks wakes up in the hospital with her parents and Matt, her best friend from work by her side. Where, she wonders, is her husband Daniel? It turns out that the fall caused Lucy to forget parts of her past. She hasn't spoken to Daniel in over four years (and they never married) and Matt, her best friend from work is really her longtime boyfriend. And the worst part is that the damage to her memory may be long term. Despite pictures and Matt's best efforts, Lucy continues to feel strong love for Daniel. All of as sudden she is faced with all kinds of 'what-ifs' and the need to make a decision about how she wants to live her life and who she wants to live it with. I laughed and cried with Lucy and was rooting for her throughout this entire novel even when I wasn't sure about which decision would be the best for her life. She's a character that I won't soon forget. The supporting characters are also great, especially Matt who loves Lucy and wants to help her regain her memory of their lives together. This is a FANTASTIC book! This is a wonderful novel with a dual time line of modern day and 1940. I enjoyed both stories and loved the way that the author ended the novel. Marisol is a single mother living with her parents in Santa Cruz. As she is trying to find more about the history of her town for the historical society, she finds a picture of a woman who was trying to become an actress in 1940 but jumped to her death. 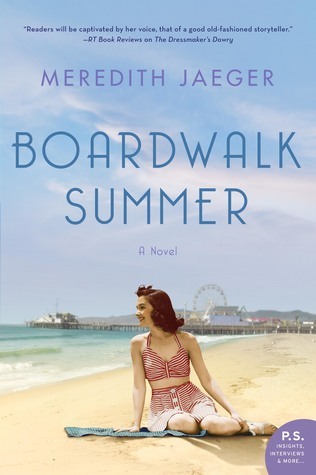 There is a mystery behind Violet's death and when Marisol finds out that her beloved grandfather was somehow connected, she works to find out the real story about Violet, a Miss California, married to a controlling man, who tried to escape her life in Hollywood but ended up as a suicide in Santa Cruz. This is a wonderful beach read. It has a little mystery, a bit of romance and two women who are trying to make life better for themselves and in Marisol's story, trying to make life better for her community. WARNING - clear your calendar before you open this book because you aren't going to want to stop reading once you start. This is a psychological suspense novel by a wonderful author that will dismay you, surprise you and make you laugh and cry! It's about a subject that all parents worry about - what would you do if your child went missing. Kat Jenkins is a single mom of 9-year-old Ethan. Ethan is a smart young boy and is often bullied in school due to his intelligence. 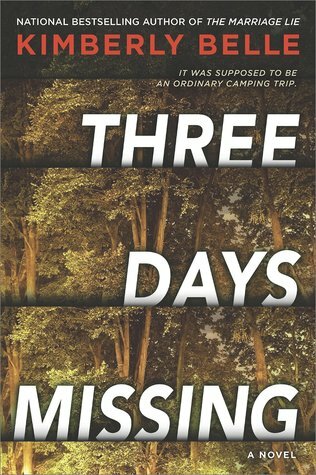 She allows him to go on an overnight field trip with his class but is awakened by the police knocking on her door in the middle of the night to tell her that Ethan is missing from the camp. She rushes to the camp and finds out that the police have very few leads. She (obviously) is distraught and distrustful of several people who she thinks may have been involved but the only thing she is really worried about is getting her son back. Her despair is so real that the reader feels it on every page as the police try to find her son. This is a book that will keep you in suspense. Wow! They all sound terrific and make me want to add them to my tbr list. Thank you. I enjoyed every one of these books. Oooh these look really good- especially Three Days Missing, that sounds like something I'd love! Thanks for putting these on my radar!! Shannon - Three Days Missing was fantastic. I hope you enjoy it.